An agent is authorized by another person (called the principal) to act on that person’s behalf. In other words, a principal authorizes the agent to do or not do something on behalf of the principal. An agent can either be an individual or entity. So, businesses can act as agents for other businesses or individuals. Agents come in all kinds of shapes and sizes, including employees acting on behalf of their employers, sports agents, real estate agents, travel agents, commercial agents, to even special agents like the "007" James Bond types. But what exactly are the agent’s responsibilities on behalf of the principal? Well, it depends on the relationship between the agent and the principal. But agents generally are limited to the actual authority granted to the agent on behalf of the principal. "Actual authority" is the authority that the principal expressly or impliedly grants to the agent. An example of express authority would be if the principal told the agent that he or she can do something. An example of implied authority includes those acts which the agent can do based on the express authority granted by the principal. For example, if your boss hires you to clean windows for businesses, you likely have the implied authority to drive a vehicle to go to the business locations to clean the windows. Agents must also generally act within the confines of the law, with reasonable care, loyalty, and must usually disclose material information to the principal. These duties are generally known as fiduciary duties. There are also different types of agents, including co-agents, dual-agents, sub-agents, and other types of agents. 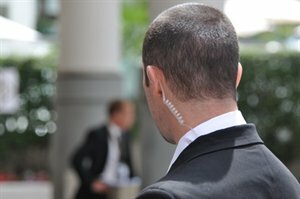 Please read Agency Law for more of the details on this interesting topic and how James Bond’s status as an agent works.